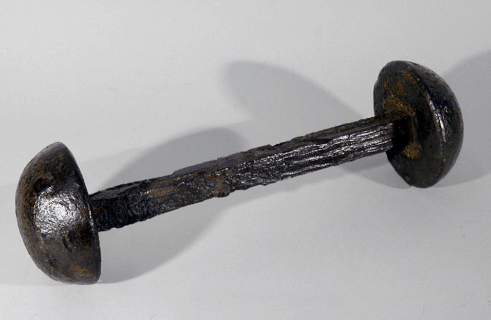 This forged steel Boarding Axe proved a useful tool clear the decks of debris and hot shot from the enemy which would cause fires on the ship. If fighting escalated to hand-to-hand combat, the axe proved a useful weapon in that area as well. For source and more details, click here.